The Russian Far East is a haven for seabirds and marine mammals due to the abundance of food caused by the active plates. This tour is ideal for bird watchers, photographers and nature lovers. 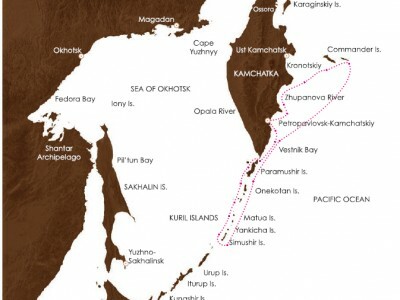 Regions you will explore on this tour include the Kamchatka Peninsula; the Commander Islands (the western extremity of the Aleutian chain of islands) and the Kuril islands. No only are these places fascinating for their wildlife but also for their people and human history. Each region is very different and has its own story and, in many cases, endemic plants and birds. This is a once in a lifetime adventure you will never forget. Welcome to Far East Russia! Transfer to the vessel in preparation to depart for the Commander Islands. Stand on the bridge of the vessel as you sail from what some people consider the best natural harbour in the world. This is a great opportunity to spot some seabirds as you leave the shoreline behind. A day at sea as you cruise towards the Commander Islands. Enjoy several lectures and briefings as the group prepare for the days ahead. It is also a good time to be on deck as the birding is good with Fork-tailed Storm-Petrel and Red-legged Kittiwake amongst the likely sightings. There are two main islands in the Commander group, Bering and Medny, and during these two days you will explore several sites combining the best of the natural and cultural history. There is an excellent chance of finding Rock Sandpiper, Mongolian Plover, Pechora Pipit and Grey-crowned Rosy-Finch, as well as the endemic subspecies of Arctic Fox. 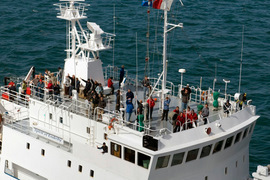 Zodiac cruising can be extremely rewarding here with several species of auklets as well as the Red-legged Kittiwake. The area is also extremely rich in marine mammals. Potential species include Sperm, Humpback, Northern Minke and Baird’s Beaked-Whales, as well as Orcas, Steller Sea Lions, Northern Fur Seals and Sea Otters. Included is a visit to the small settlement of Nikolskoye and the local museum and if weather permits Commander Bay, where Vitus Bering was shipwrecked and is buried. The group spend several hours in the Zodiacs cruising on the scenic Zhupanova River where you should get great looks at Steller’s Sea Eagles as the birds often perch in the trees adjacent to the river. Other highlights could include Pacific Diver, Far Eastern Curlew, Glaucous-winged Gull, Aleutian Tern and Yellow-breasted Bunting. There is also a major salmon fishery on the river which we can visit. In this deep fiord on the Kamchatka Peninsula there is the opportunity to spot the critically endangered Kittlitz’s Murrelet as well as Long-billed Murrelet. Following this, take a short excursion at the head of the fiord where there is a chance of seeing brown bears. At the entrance to the fiord where we can Zodiac cruise there are almost always Orcas and Steller Sea Lions. Early in the morning, pass through Second Kuril Strait which has one of the highest densities of Sea Otters in the Kuril Islands. Landing on Atlasova Island is great for birders and non birders alike. There are the remains of a Gulag to explore and numerous species to see. This evening on Onekotan Island, stretch your legs through an amazing field of wild flowers as you walk to Black Lake. During an early morning Zodiac cruise at Ekarma Island you should see various alcids, with close looks at Tufted Puffin and Whiskered Auklet. In the afternoon, at Toporkovy Island in the shadow of the active Matua Island volcano expect to find Harlequin Ducks, Red-faced Cormorants, Tufted Puffins and Brunnich’s Guillemots. Ashore you can also expect to encounter Grey-tailed Tattler, Middendorff’s Grasshopper Warbler and Black-faced Bunting. Today, enter a flooded caldera at the northern end of Simushir Island where a once top secret Soviet submarine base lies abandoned. In the surrounding area look for the Siberian Rubythroat, Eurasian Nutcracker, Pine Grosbeak and Japanese Grey Bunting. A visit to Yankicha Island is likely to be one of the highlights of the voyage as the number of alcids which breed here is incredible, with spectacular concentrations of Crested and Whiskered Auklets. This morning depending on the weather the group will either Zodiac cruise or land on Chirpoy Island where there are some dramatic volcanic landscapes and headlands covered in breeding seabirds. This afternoons landing on Urup Island is a chance to stretch your legs on an extended walk, beachcomb and look for Sea Otters or birds in the forest behind the beach. This morning the group will land at the small settlement of Kurilsk from where local buses/trucks will take you into the volcanic highlands to thermal hot pools where you can enjoy a soak or go birding. Possible species include Brown Dipper, Arctic Warbler, Japanese Robin, Pine Grosbeak and Japanese Grey Bunting. 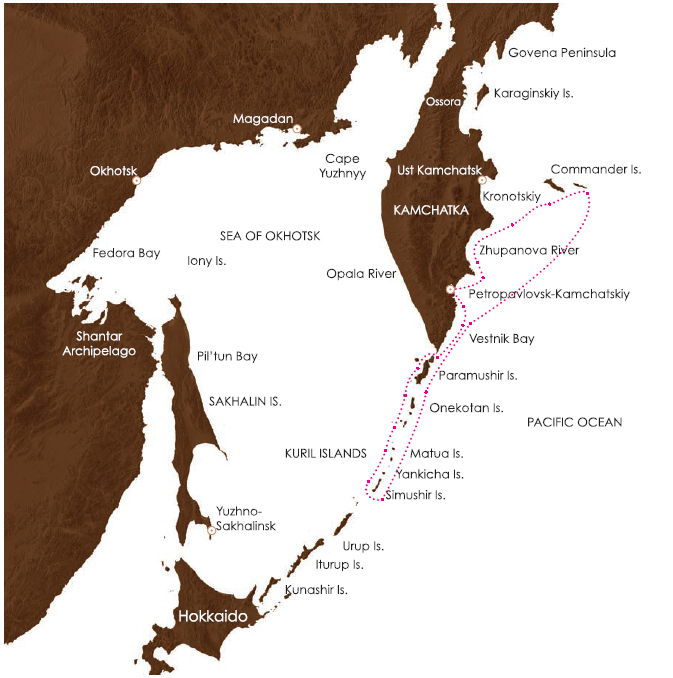 Kunashir is the largest island in the Kuril chain. A landing is planned in the Kurilsky Reserve and you can explore an extensive area of woodland, where there are some good walks and birding. This afternoon whilst at sea, there is a chance for birding and an opportunity to recap with fellow travellers and pack. Your adventure is drawing to a close. 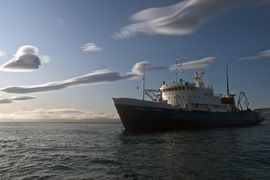 Arrive at the Port of Korskov on Sakhalin Island. Transfer to the airport for your flight home. 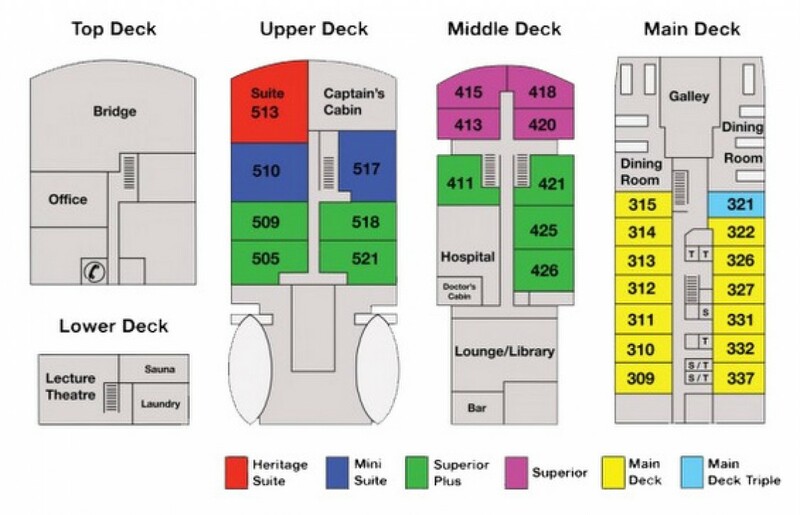 Our cruise adventure ship, the 'Spirit of Enderby' is perfect for expedition travel. The real focus and emphasis is getting you ashore as often as possible for as long as possible with maximum safety and comfort. The expedition ship carries just 50 passengers in very comfortable accommodation (refurbished in New Zealand in Nov 2004). The cuisine is excellent and is prepared by top New Zealand and Australian chefs. Our cruise adventure are accompanied by some of the most experienced naturalists. Our guides have devoted a lifetime to field research in the areas that we visit. The cruise adventure ship is crewed by a very enthusiastic team and most experienced Russian Capitan. b) Our specially designed and built Hovercraft (two) give us unprecedented over ice capability in Antarctica allowing us to land in places that are inaccessible to other ships. The name 'Spirit of Enderby' honours the work and the vision of the Enderby Brothers of London. The Enderby Captains were at the forefront of Antarctic exploration for almost 40 years in the early 1800’s. The cruise adventure ship name also celebrates Enderby Island, arguably the greatest Subantarctic Island in the world. Russia’s Ring of Fire is available on enquiry basis - please get in touch with our Destination Managers and they will put together a holiday of a lifetime for you.